The portable vocal booth is one of the best innovations to hit the home studio market over recent years. Home studios are usually started in rooms that were never designed for any kind of audio or sound work, and this can cause lots of problems and issues with the quality of your recordings, especially with vocals. But using one of these vocal booths (also known as an acoustic enclosure) pretty much eliminates the problem, giving you dry and clear vocal recordings – exactly what you’re after in the studio. 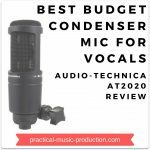 It’s a superb solution to the problem of recording in a poorly designed room and can really transform your vocal recordings. Here are 5 reasons why you need to be using one, as well as 3 different vocal booths that would all be perfect for your studio. 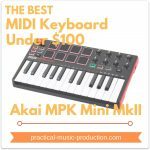 A simple and effortless way to capture more professional recordings in your own studio. And if your recordings are better, then that has a knock-on effect to improve your mixes and productions. Who wouldn’t want that? 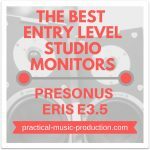 Ideal for singers who want to capture clean, pro-level recordings and get closer to the polished results you’d expect in commercial studios. If you have other musicians coming to your studio it looks very professional and gives the impression that you take recording seriously. They’re very easy to use – the booth simply attaches to the mic stand and positions itself behind the microphone. They’re portable and light as well, so they’re not difficult to move around. 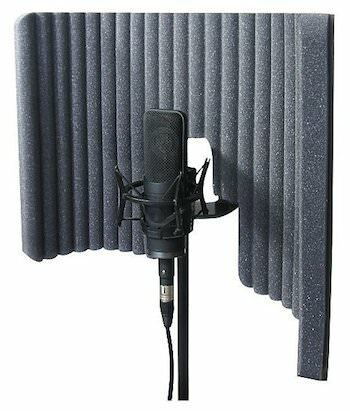 The vocal booth filters out unwanted acoustic reflections from the room’s hard, shiny surfaces that can negatively affect the quality of your vocal recording. Most home studios are found in these kinds of rooms – rooms that have very little acoustic treatment. When you sing, sound waves travel in all directions, reflecting and bouncing around the room. The mic picks up these reflections, and because of the room’s poorly designed acoustics, the character of the vocal recording can be badly affected. 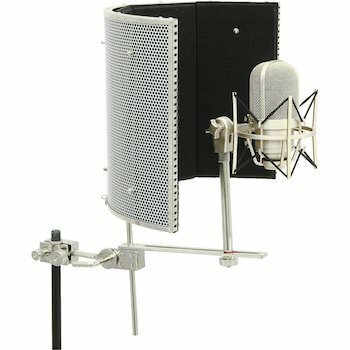 The portable vocal booth helps to isolate the microphone and stop these reflections from entering the mic. The general aim when recording is to capture as dry and clean a signal as you can – exactly what a portable vocal booth can give you. 1. Primacoustic VoxGuard - A fantastic low-budget enclosure. Simple and effective, and it gets the job done with the minimum of fuss. 2. CAD Audio AS32 - One of the more popular devices for the home studio. Includes a wider curve compared to the VoxGuard, helping to stop any sounds from entering the side of the microphone. This is the booth I recommend the most or your own studio. 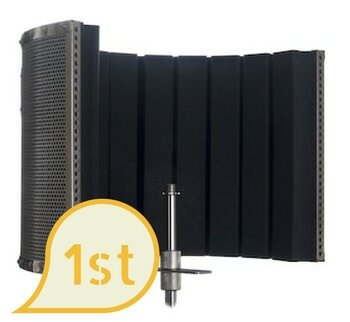 3. sE Electronics Reflexion Filter Pro - This is towards the top-end of the scale for home studio vocal booths. But the extra cost involved can be hard to justify, as you’ll get similar results with either of the previous two devices. Recording vocals can be one of the hardest things to get right in a home studio, and acoustically poor rooms make this task even harder. 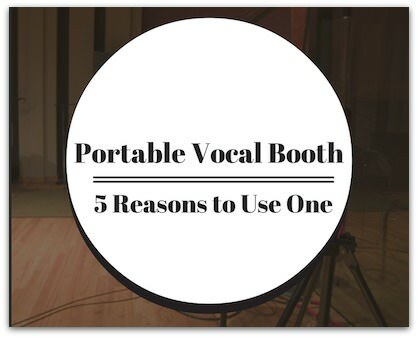 But using a portable vocal booth in your own studio is one of the easiest ways to guarantee better vocal recordings. You’ll hear an instant improvement, with cleaner and more detailed vocals that will shine in your mixes. 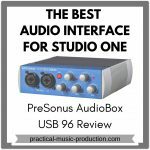 A must-have for any home studio – highly recommended. What is a Headphone Mix and How Does It Work for Recording?